The Foundation has identified such a project at Texas Children’s Hospital, whose world-class scientists are leading the way with a Diagnostic Testing Research Project. This important project is currently underway and will make a difference in diagnosing child illnesses. 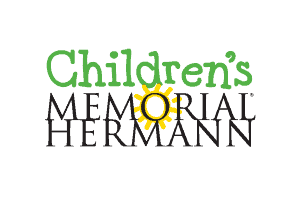 The Foundation is fortunate to have collaborated with Diagnostic Testing Research Project at Texas Children’s Hospital’s Molecular Microbiology Lab since the Foundation’s inception in 2006. As part of the 2010 Request for Proposals initiative, the Foundation has funded a research project at CMHH, under the direction of Susan Wootton, MD and Rodrigio Hasbun, MD, MPH, aims to establish a simple and cost-effective algorithm for early diagnosis and effective management of encephalitis. In many cases of encephalitis (32-75%), however, the cause of the infection remains unknown. The goal of our proposal is to 1) identify a strategy for early diagnosis and management of encephalitis in children and 2) to incorporate innovative molecular diagnostic tests that could improve the diagnosis of encephalitis.